Have you been scammed on your mortgage loan? Let Real Estate Law Center handle your complaints, review the evidence and take it to litigation. These professionals will help you get the restructured mortgage you need and deserve. June 5, 2015 - PRLog -- Real Estate Law Center PC has been helping homeowners for multiple years. If you are a homeowner and have been struggling against predatory mortgage lenders, we can assist you. Predatory mortgage lenders impose inequitable and aggressive loan agreements on borrowers. A majority of the common occurrences consist of brokers that charge higher interest rates, enormously high fees that are unnecessary, prepayment penalties, targeting of minority groups, ridiculous adjustable interest rates, and fees that are hidden such as insurance or taxes. Our experienced team of attorneys can file lawsuits on your behalf. What separates us apart from other law firms is we actually file lawsuits against the mortgage lenders. A large majority of companies will claim that they filed their litigations, but never do. Real Estate Law Center PC is here to provide you with honest efficient services. So, how does this process work? Our clients are required to fill out an application. 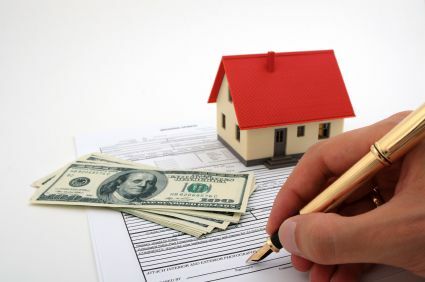 Your application will inquire information from you regarding your mortgage and income. Real Estate Law Center PC reviews each and every file for an property value. We will thoroughly analyze any documentation of your loans if provided. Our law firm will also inquire a series of questions from you to evaluate, so we can determine if you have a case we can settle. The entire litigation process usually takes three to six months. It is our goal to achieve a settlement that will restructure your mortgage. When we file individual cases against lenders the case can either result in monetary damages, principal reductions, or other forms of relief. Monetary damages are material compensations that are awarded to the injured party. Principal reductions means that a decrease in the principal owing on a loan, usually a mortgage, is granted for the purpose of lessening the outstanding principal balance on qualifying properties that have negative equity. Real Estate Law Center PC can detect scams, and teach you how to prevent future predatory mortgage lending. Due to the housing market crash, many mortgage companies have tried to take advantage of helpless homeowners. Many of the predators find borrowers from marketing techniques and offer false affiliations with government agencies to gain business. A common occurrence is appraisal fraud. The appraiser who works with the lender will either overvalue the home or undervalue the home. When the home is overvalued it will secure an unnecessarily large loan at higher interest rates, which will increase the buyer’s expenses. When the home is undervalued the appraiser will try and justify a short sale and subsequent re-sale at market value for their own personal profit. The Real Estate Law Center PC was developed by Erikson M. Davis. He originally began his career by enlisting into the Air Force Academy. After the Air Force, Erikson attended school at the University of California Santa Barbara. He completed his B.A. in Political Science. Erikson decided to finish his education at Whittier Law School for his J.D. Since he attended and completed law school, Erikson has been dedicated to helping homeowners.